Putnam General Hospital: News - Georgia Hospital Association Presents Putnam General Hospital with Safety Award. EATONTON, GA - January 3, 2017. 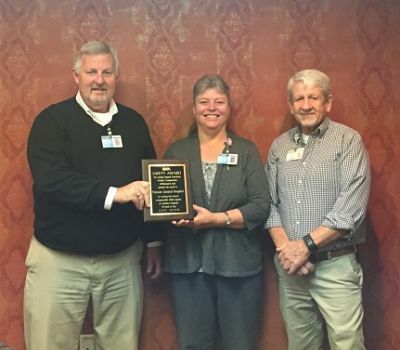 The Georgia Hospital Association Workers' Compensation Self-Insurance Fund is privileged to present this Safety Award to Putnam General Hospital. In calendar year 2015, they had the lowest rate of compensable dollar injuries. Their actual loss ratio was 0% for 2015 when evaluated April 30, 2016. The GHA Worker's Compensation remarked that"Jeanine Martinez, Human Resources Director, and Larry Strange, Safety Officer have done an excellent job of achieving a low accident frequency environment, where claims are handled in an efficient manner." 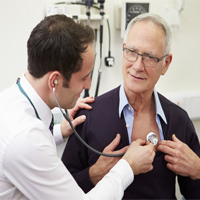 "We congratulate Putnam General Hospital, and all the staff on their excellent results." Pictured are Alan Horton, CEO of Putnam General Hospital with Jeanine Martinez and Larry Strange. Mr. Horton was presented with the award at the December 14, 2016 Worker's Compensation Board Meeting.